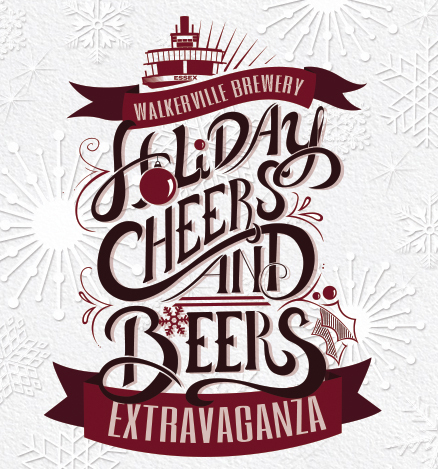 Walkerville Brewery is hosting a Holiday Cheers and Beers Extravaganza! On Friday, December 4, 2015, from 5:00pm to 9:00pm, join the brewery as they release their holiday beer, Doppelbock Dark Winter Lager in limited edition bottles. For $30, guests will receive a Walkerville Brewery glass and first pour, live music, delicious hors d’oeuvres with proceeds supporting the United Way Central Emergency Fund. The brewery will close at 4:00pm for regular business and re-open at 5:00pm for the extravaganza.